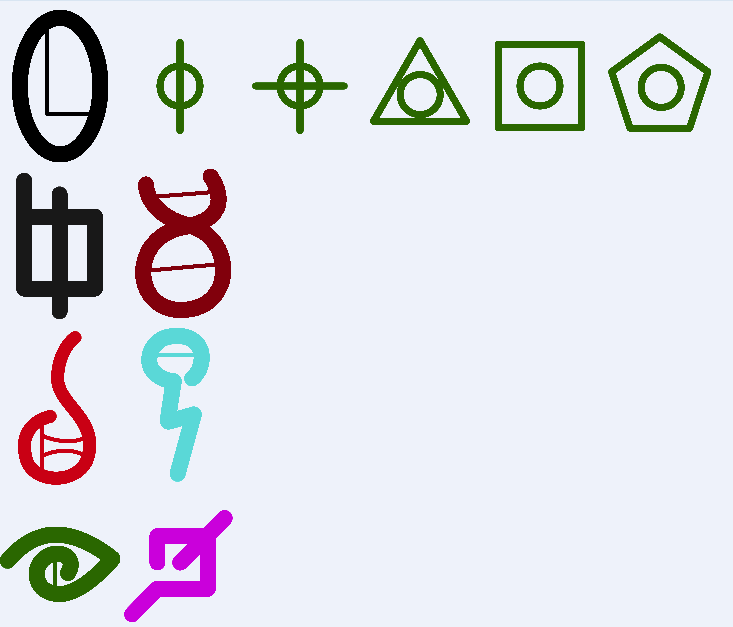 Here are a few of the runes I made this week. Each runes has a meaning and name, so you will eventually be able to read them. 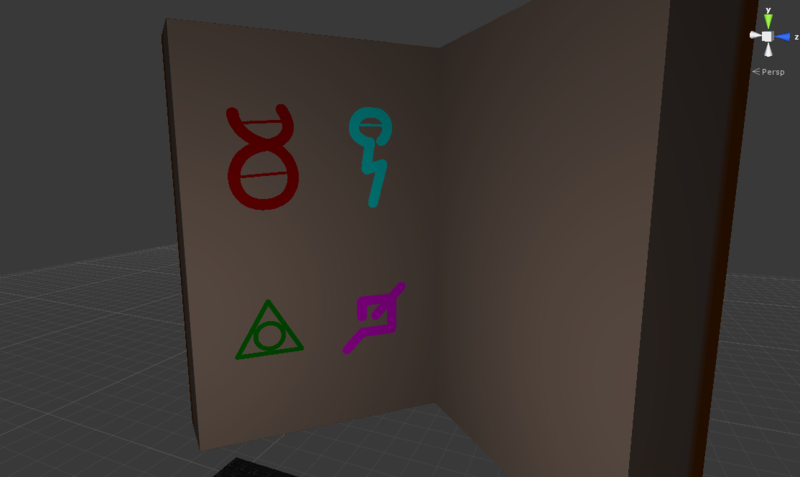 I plan on designing en entire rune alphabet, and maybe letting players write their own tomes. Effectiveness Type: Which kinds of enemies does this spell do more/less damage to. Elemental Damage: Burning, Freezing, Stunning, … . Number of Projectiles: How many orbs does the Spell create. Special Modifier: Powerful Runes, that make the Spell Homing, Piercing, Chaining, … . This week, I plan to complete Tome generation, and then maybe work on Map generation a bit.